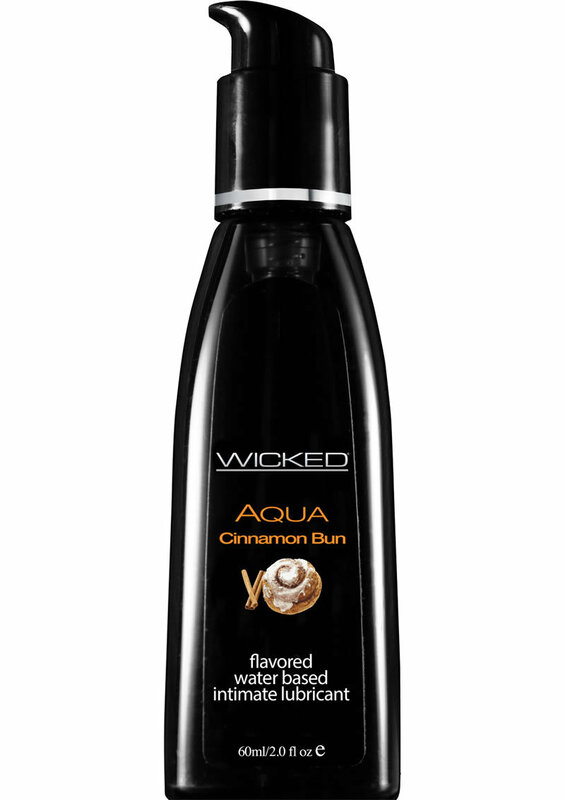 Kissable, Lickable and Delicious, Wicked Aqua Cinnamon Bun adds subtle natural flavors to enhance oral pleasures. Light silky, this water-based formula is the perfect sensual combination of an elegant lubricant and a flavor sensation. Never sticky and without an aftertaste, Wicked Aqua Cinnamon Bun satisfies your sweet tooth and your intimate desires all in one amazing pleasure product.